^ "Phelan, Joseph; The Salvador Dalí Show". Artcyclopedia.com. Retrieved August 22, 2010. ^ a b c d e f g h i j k l m n o p Meisler, Stanley (April 2005). "The Surreal World of Salvador Dalí". Smithsonian.com. Smithsonian Magazine. Retrieved 2014-07-12. ^ Birth certificate and "Dalí Biography". Dalí Museum. Dalí Museum. Retrieved August 24, 2008. ^ País, Ediciones El (February 14, 2008). "Dalí recupera su casa natal, que será un museo en 2010". El País. Retrieved June 26, 2017. ^ "Dalí Biography 1904–1989 – Part Two". 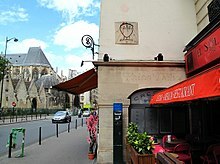 artelino.com. Archived from the original on 25 October 2006. Retrieved September 30, 2006. 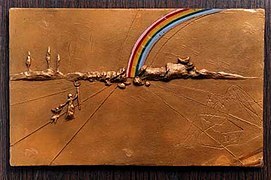 ^ "Who was Salvador Dali?｜Collection｜Morohashi Museum of Modern Art". 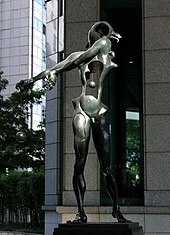 dali.jp. Retrieved 2018-12-15. ^ "Phelan, Joseph". Artcyclopedia.com. Retrieved August 22, 2010. ^ Koller, Michael (January 2001). "Un Chien Andalou". Senses of Cinema (in French). Archived from the original on 25 December 2010. Retrieved July 26, 2006. ^ "Program Notes by Andy Ditzler (2005) and Deborah Solomon, Utopia Parkway: The Life of Joseph Cornell (New York: Farrar, Straus, and Giroux, 2003)". Andel.home.mindspring.com. Archived from the original on April 8, 2005. Retrieved August 22, 2010. 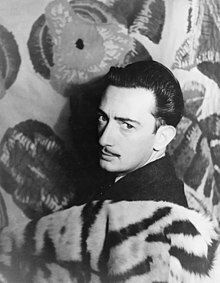 ^ "Salvador Dalí's Biography – Gala". 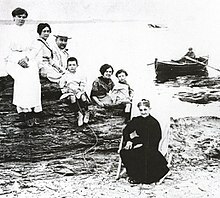 salvador-dali.org. Salvador Dali Foundation. Archived from the original on November 6, 2006. Retrieved February 14, 2015. ^ Herbert, James D. (1998). Paris 1937. ISBN 978-0-8014-3494-5. Retrieved February 14, 2015. ^ Cohen-Solal, Annie (2010). Leo and His Circle. ISBN 978-1-4000-4427-6. Retrieved February 14, 2015. ^ Schmalz, David. 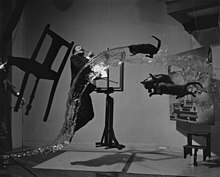 "A world-class Salvador Dali art collection comes to Monterey". Monterey County Weekly. Retrieved 2016-06-06. ^ Crowder, Bland (January 31, 2014). "¡Hola, Dalí!". Virginia Living. Cape Fear Publishing. Retrieved June 27, 2016. ^ "Hello, Dalí". Carnegie Magazine. Archived from the original on 27 September 2006. Retrieved August 22, 2006. ^ "Salvador Dalí Bio, Art on 5th". Archived from the original on 4 May 2006. Retrieved July 22, 2006. ^ H. Vázquez, Carlos (July 2, 2015). "Cuando Dalí reinventó Chupa Chups". Forbes (in Spanish). Retrieved March 17, 2018. ^ Barud, Bibiñe (January 23, 2018). "Salvador Dalí diseñó el logo de las paletas Chupa Chups y... no hay nada más surreal que eso". BuzzFeed (in Spanish). Retrieved March 17, 2018. ^ Calandria, Juan (March 29, 2017). "Madrid acoge el festival de Eurovisión de 1969". 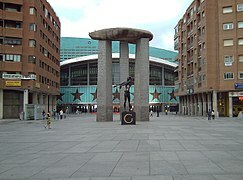 Eurovision Planet (in Spanish). Retrieved March 17, 2018. ^ Jacques (April 26, 2009). 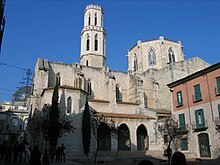 "40 años de Eurovisión 1969 – Segunda parte: Canciones 1–5". Ole Vision (in Spanish). Retrieved March 17, 2018. ^ "Scotsman review of Dirty Dalí". The Scotsman. UK. Retrieved August 22, 2010. ^ Sewell, Brian (January 1, 2007). "The Dali I knew". This is London. Archived from the original on July 7, 2007. 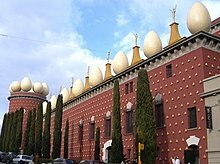 ^ "Salvador Dalí's Museums – Gala". 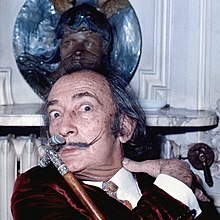 www.salvador-dali.org. Salvador Dali Foundation. Retrieved June 26, 2017. ^ a b "Dalí Universe Collection". County Hall Gallery. Archived from the original on 1 December 2008. Retrieved July 28, 2006. ^ a b "Salvador Dalí's symbolism". County Hall Gallery. Archived from the original on 2 December 2006. Retrieved July 28, 2006. ^ Stone, Peter (2007-05-07). Frommer's Barcelona (2nd ed.). Wiley Publishing Inc. p. 284. ISBN 978-0-470-09692-5. Retrieved 23 March 2017. ^ "Salvador Dali: Liquid Desire". ngv.vic.gov.au. Retrieved February 14, 2015. ^ a b Datta, Suman. "Dalí: Explorations into the domain of science". The Triangle Online. College Publisher. p. 1. Archived from the original on 8 December 2010. Retrieved August 8, 2006. ^ "Past Exhibitions". Haggerty Museum of Art. Marquette University. Archived from the original on 3 September 2006. Retrieved August 8, 2006. ^ "Symposium announcement" (PDF). The Dalí Renaissance: An international symposium. Philadelphia Museum of Art. April 10–11, 2005. Archived from the original (PDF) on 14 November 2012. Retrieved 24 May 2012. ^ a b c Navarro, Vicente (December 6, 2003). "The Jackboot of Dada: Salvador Dalí, Fascist". Counterpunch. Archived from the original on 3 August 2006. Retrieved July 22, 2006. ^ "Payne, Stanley G., A History of Spain and Portugal, Vol. 2, Ch. 26, pp. 648–51 (Print Edition: University of Wisconsin Press, 1973) (Library of Iberian Resources Online, Accessed May 15, 2007)". Libro.uca.edu. Retrieved August 22, 2010. ^ "Fun with Franco!". andrewcusack.com. 2005-07-25. Retrieved February 14, 2015. ^ "Salvador Dalí & Mia Farrow, a Surreal Friendship". lidogallery. 2012-03-23. Retrieved February 14, 2015. ^ "Salvador Dali – The Mike Wallace interview". Harry Ransom Center. University of Texas at Austin. 1958-04-19. Retrieved 2012-12-06. ^ "Dali on Whats my Line". retronaut.co. Archived from the original on June 2, 2012. Retrieved February 14, 2015. ^ Frank, Priscilla (April 29, 2015). "The Early Days Of Television Were Way More Avant-Garde Than You Give Them Credit For". Huffington Post. Retrieved June 26, 2017 – via Huff Post. ^ "Dalí – Museu Berardo". en.museuberardo.pt. Retrieved June 26, 2017. ^ "Salvador Dali". www.academieroyale.be. Retrieved June 26, 2017. ^ Darnton, John; Times, Special To the New York (April 19, 1983). 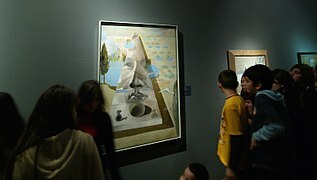 "Major Retrospective Honors Dalí in Spain". The New York Times. Retrieved June 26, 2017. 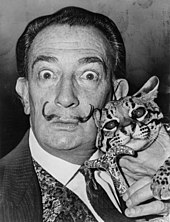 ^ "The Salvador Dalí Online Exhibit". MicroVision. Retrieved June 13, 2006. ^ a b "Dalí picture sprung from jail". BBC. March 2, 2003. ^ "Salvador Dalí's Stairway to Heaven". www.hilliardmuseum.org. Retrieved 2019-03-08. ^ "Salvador Dalí's Stairway to Heaven". Park West Foundation. 2018-08-29. Retrieved 2019-03-08. "Dalí's surreal wind-powered organ lacks only a rhinoceros". SMH.com.au. July 4, 2003. "Salvador Dali interviewed by Mike Wallace". The Mike Wallace Interview. April 19, 1958.